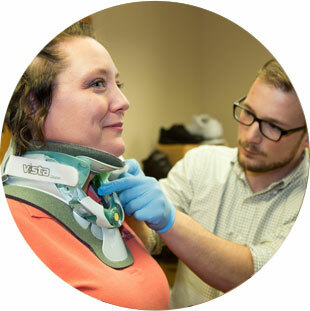 Bay City OrthoCare offers bracing options to fit your needs from head to toe. Whether you need a brace for an ankle fracture or a head injury, our team can help with our full range of in-stock bracing options. Our large supply of in-stock braces means we welcome walk-in customers in need of many types of bracing. Our fitters take the time with each patient to make sure braces fit and function well for you and meet the specifications of your doctor. At Bay City OrthoCare, we know caring for children is much different then caring for adults. Our team works with children to make sure child-sized bracing fits proportionally and is adjusted correctly to fit your child’s frame. We carry a full range of pediatric bracing for children who are in need of temporary bracing for injuries such as a fracture or sprain as well as for children who are working to overcome limitations associated with permanent neuromuscular disabilities, such as cerebral palsy.